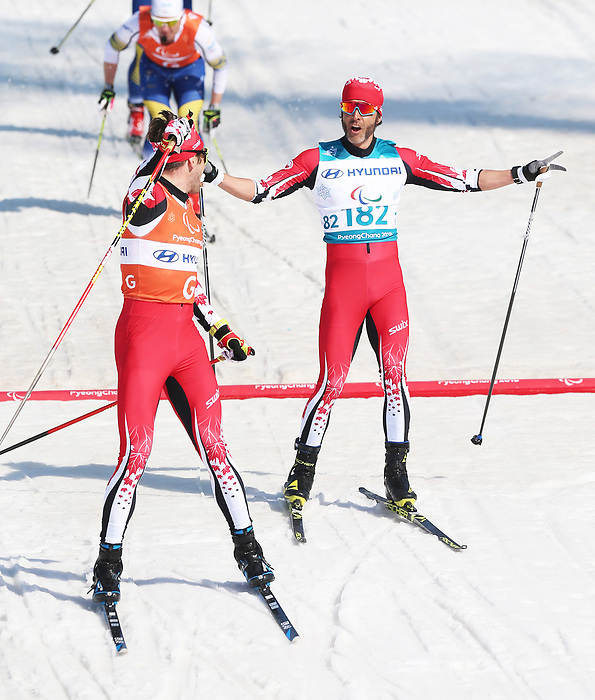 Pyeongchang, Korea, 14/3/2018-Brian McKeever and Russell Kennedy compete in the cross country sprints during the 2018 Paralympic Games in PyeongChang. Mckeever wins gold. Photo Scott Grant/Canadian Paralympic Committee.